For arguably the third time, the Court of Appeals Eastern District has ruled that the disputed exit of the Rams from St. Louis should not be resolved in arbitration. If you saw the hashtag #stanstillstinks on Twitter on the night of Feb. 3, you have Terry Crouppen to thank. His St. Louis law firm, Brown & Crouppen, ran a local television ad after the halftime show of Super Bowl LIII in which Crouppen mocked Stan Kroenke, former owner of the St. Louis Rams. A dispute involving the departure of the Rams from St. Louis could be headed to arbitration after all. The Missouri Supreme Court on Jan. 29 ordered the Court of Appeals Eastern District to reconsider two rulings last year that allowed disputes to remain in circuit court despite claims from the defendants that they should be arbitrated. The NFL's Rams will pay $24 million to personal seat license holders in St. Louis who filed a class-action lawsuit after the team moved to Los Angeles. St. Louis Rams linebacker David Vobora scored a $5.4 million judgment in his lawsuit against a fitness supplement company over a failed drug test. 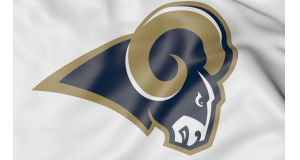 The St. Louis Rams Partnership has filed a lawsuit against former Woodbury Financial Services stockbroker Joshua Gould and ticket broker The Sports Nook in St. Louis County Circuit Court, claiming they owe it more than $100,000 for tickets. The owner of a nutritional supplement company is responding to allegations in a lawsuit by St. Louis Rams linebacker David Vobora. A St. Louis Rams player who was suspended after testing positive for a banned substance has sued the maker of the nutritional supplement.